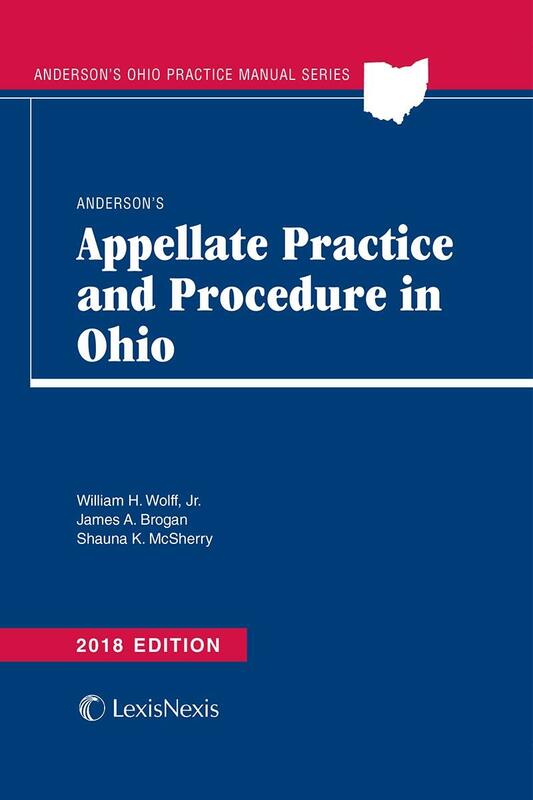 A complete step-by-step guide to handling an appeal and provides information on how to correctly file, prosecute, and defend appeals.  • Chapter sections and sub-sections, to assist in finding the information you need more quickly and effortlessly. James A. Brogan has been a judge of the Court of Appeals of Ohio, Second Appellate District, since 1981. Before coming to the Court of Appeals, Judge Brogan served as First Assistant Prosecuting Attorney for Montgomery County, Ohio from 1969–1981. He is a past chair of the Ohio Judicial College (1997–1999) and was Chief Justice of the Ohio Courts of Appeals Judges Association (1996). 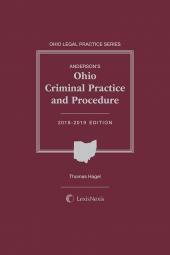 Additionally, Judge Brogan has taught in the Law Enforcement Program at Sinclair College for 31 years and has taught media law at the University of Dayton for several years. He is a graduate of Notre Dame, A.B. 1961 and Georgetown University, J.D. 1964. 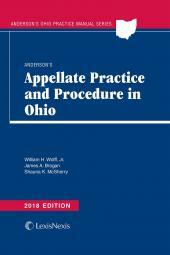 William H. Wolff, Jr. was a judge of the Court of Appeals, Ohio, Second Appellate District between 1985 and 2009, when he retired. Since retiring from the Second Appellate District, Judge Wolff has been appointed to sit as a judge in the Second Appellate District and other courts in the State of Ohio. He has also served as a judge of the Dayton Municipal Court (1976–77) and of the Montgomery County Court of Common Pleas (1977–1985). Judge Wolff is a past president of the Dayton Bar Association (1988-89) and was the Chair of the Ohio Judicial Conference (1998-2000). 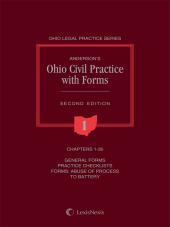 He has been a member of the adjunct faculty of the University of Dayton School of Law since 1981. Judge Wolff is a graduate of Georgetown University, Washington, D.C., A.B. 1964, J.D. 1967. Shauna K. McSherry has been a staff attorney with the Court of Appeals of Ohio, Second Appellate District, since 1996. As a practicing attorney, Ms. McSherry specialized in insurance defense litigation, with an emphasis on appellate practice (1983–1989). She also served as a law clerk for the United States District Court, Southern District of Ohio (1981–1983), and as a writing instructor and editor (1992–1996). Ms. McSherry is a graduate of Bowling Green State University, B.A. 1972 and the University of Dayton, J.D. 1979. Additionally, she has completed all the course work for a master's degree in professional writing at Wright State University.